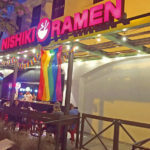 Chenavo said he is scouting sites in Mission Valley to open a second location while negotiating with the dry cleaner adjacent to his current location to take a portion of its space for adding additional seating. He also plans on remodeling the patio soon. 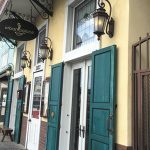 The eatery sprung onto the scene four years ago with a 17-year lease that Chenavo says remains firmly intact. Joining a long list of burger options ranging from elk and ostrich to turkey and grass-fed beef, a new veggie burger called The Sonoma was recently added. In addition, burger wraps using spinach tortillas are coming by mid-May. 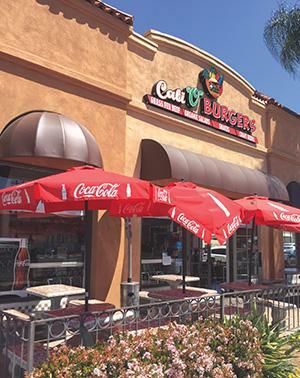 1290 University Ave., 619-692-9999, calioburgers.com. 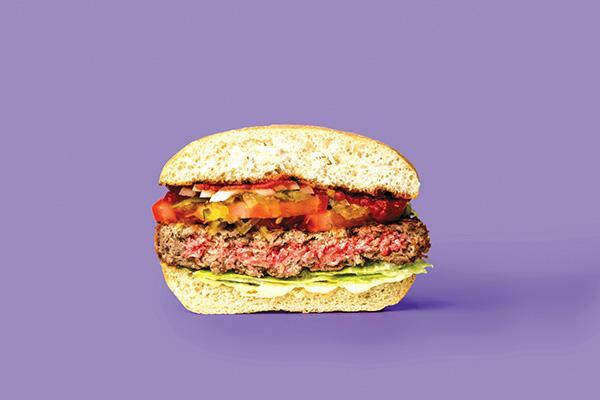 Urban MO’s has joined the growing bandwagon of establishments serving the Impossible Burger. The vegan patty is made with wheat, soy and potato proteins, and it’s engineered to bleed like beef. Some carnivores are fooled by its meaty texture and umami flavor, and others not so much — although general consensus points to a faux-beef burger that is more convincing than most competitive brands. Other kitchens around town serving it are Jayne’s Gastropub, Anthem Vegan, Ruby’s Diner, Slater’s 50/50, and Swami’s Cafe, which is opening its newest San Diego location by late April at 3707 Fifth Ave., Hillcrest. The 7th Avenue Pub at Whole Foods Market in Hillcrest recently closed to make way for a delivery port for online Amazon grocery orders. As of April 24, Amazon Prime members throughout San Diego can shop for fresh produce, meats, seafood, select alcohol products and everyday staples through primenow.com and receive their goods in two hours. Delivery is free for prime members on orders of $35 or more. Or if you need your groceries sooner, one-hour deliveries are available for $7.99 on orders of $35 or more. Both service options are available from 10 a.m. to 8 p.m. daily. 711 University Ave., 619-294-2800, wholefoodsmarket.com. 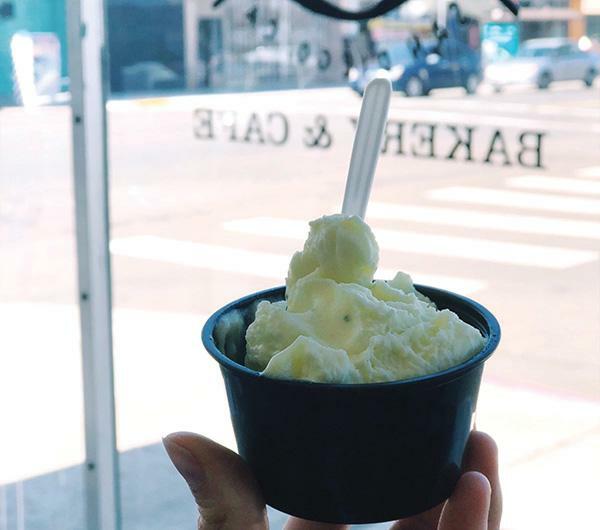 Nomad Donuts in North Park was a test site on April 22 for various gelato flavors created by An’s Dry Cleaning, a gelato shop due to open at 3017 Adams Ave. in Normal Heights by mid-May. Another tasting will be held at 1 p.m., May 6, at nearby Polite Provisions at 4696 30th St. It will feature flavors inspired by Polite Provisions’ cocktails and run until supplies run out. adcgelato.com. 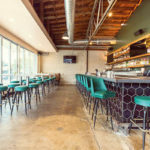 Diners will be put to the test navigating through a five-course meal in complete darkness during Uptown Tavern’s new “darkroom dinner series,” which kicks off at 8 p.m., May 9. The 20-seat event will be held in Uptown’s private dining room, the Arrow Lounge. The cost is $49.95, which includes a welcome aperitif cocktail. Reservations are required. 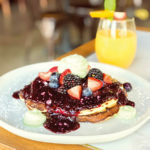 1236 University Ave., 619-241-2710, uptowntavernsd.com. Odds and Ends: Who would’ve thought that a single slice of cheese pizza from the Costco food court packs a whopping 760 calories? Strangely, the count is higher than the pepperoni slice, which is listed at 710 calories. “I think it’s because there is a little less cheese on the pepperoni slices,” an employee at the Mission Valley location told us. 2345 Fenton Parkway, 619-358-4000, costco.com. 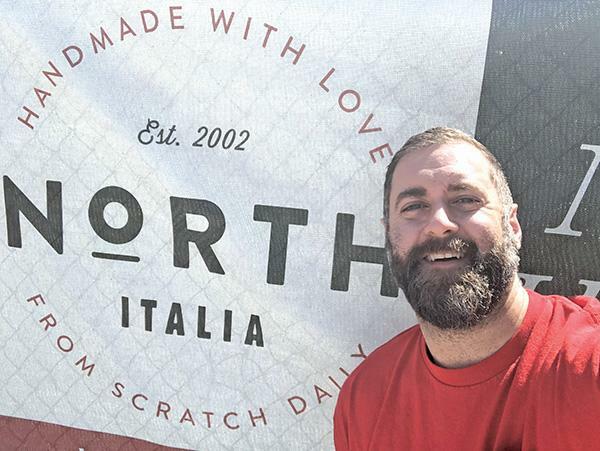 A new culinary journey awaits chef Rich Sweeney as he prepares for his role as executive chef for the San Diego debut of North Italia, due to open this fall in Fashion Valley Mall by Phoenix-based Fox Restaurant Concepts. 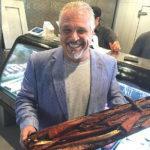 Sweeney became known for his creative takes on American comfort food while running the former R Gang Eatery in Hillcrest for five years. He most recently served as executive chef at Waypoint Public in North Park and helped open its second location in Del Sur. Sweeney says that cooking Italian — and for the projected high volumes expected at North Italia — will present the career challenges he has been seeking. “I’ll be making my own pasta dough, which I haven’t done in years,” he added. North Italia will be located at the northeast section of the mall, near Bloomingdale’s and True Food Kitchen. 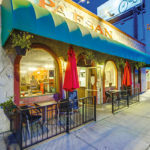 With more than a dozen locations spanning from Southern California to Kansas, the menu will offer scratch-made fare ranging from meatballs and fresh-pasta dishes to assorted pizzas and meat and seafood entrees. 7055 Friars Road, northitaliarestaurant.com.